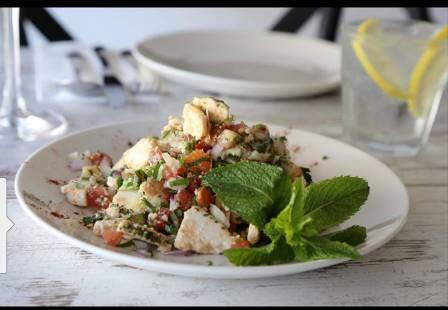 Experience Middle Eastern cuisine with modern Australian influence at Fattoosh Lebanese Restaurant. This large and loud restaurant on the lower North Shore brings you all the boisterous joy of a typical Middle Eastern family gathering. The dishes look as good as they taste, with gorgeous shapes and colours cluttering your table waiting to be shared. Their signature dish and the restaurant’s namesake is a traditional salad made from fresh vegetables and herbs, including lettuce, tomato, cucumber, and radish and it is tangy, sweet, crunchy, colourful and just simply delicious!